The gardens seem to go on forever, with undulating lawns, sculpted flower beds and towering shade trees mingling under an azure sky. 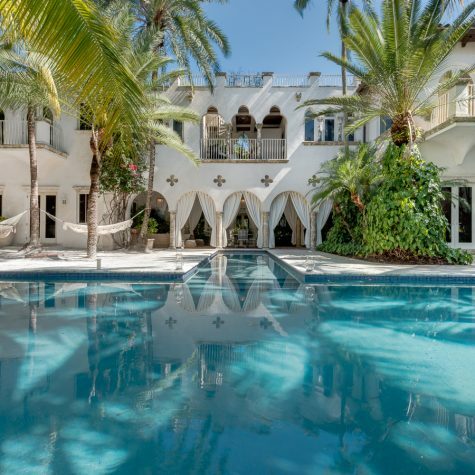 Around a corner, the custom pool and spa are as much a treat for the eyes as they are for the body and the spirit, providing cool comfort and regenerative properties alike. Beyond, multiple patios invite repose and conversation, and custom fireplaces warm up crisp evenings. It’s the epitome of a resort experience — one that could only be improved upon if it didn’t come with a check-out date. That’s the downside of vacation; no matter how glorious, it still has to end at some point. 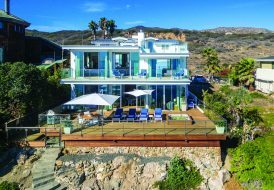 It’s also the impetus behind a growing trend that has luxury homeowners sparing no expense in creating a resort at home, mimicking exotic jaunts, lushly landscaped garden spaces and elaborate outdoor entertainment zones to create their own version of the ultimate getaway experience — without ever having to leave. 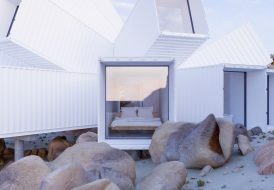 One might think that a large property would be easier to design; however, every property comes with its own unique set of challenges. 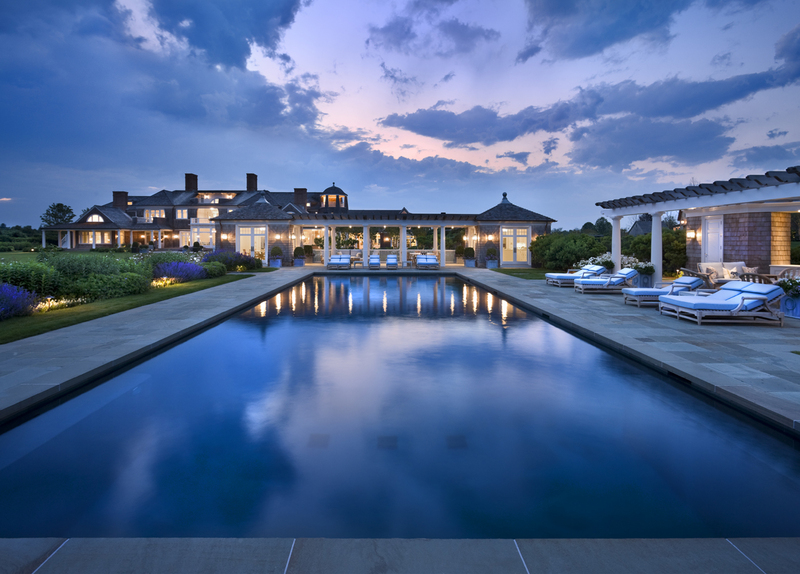 The famed Villa Maria estate in The Hamptons compelled landscape architecture firm Hollander Design to take this historic property, dating back to 1919 when it was purchased by shipping tycoon Edward P. Morse and most recently the waterfront estate of late shoe designer Vince Camuto, and honor its history while “returning this magnificent home and property to its rightful glory” and creating a modern resort, says the firm’s founder, Edmund Hollander. 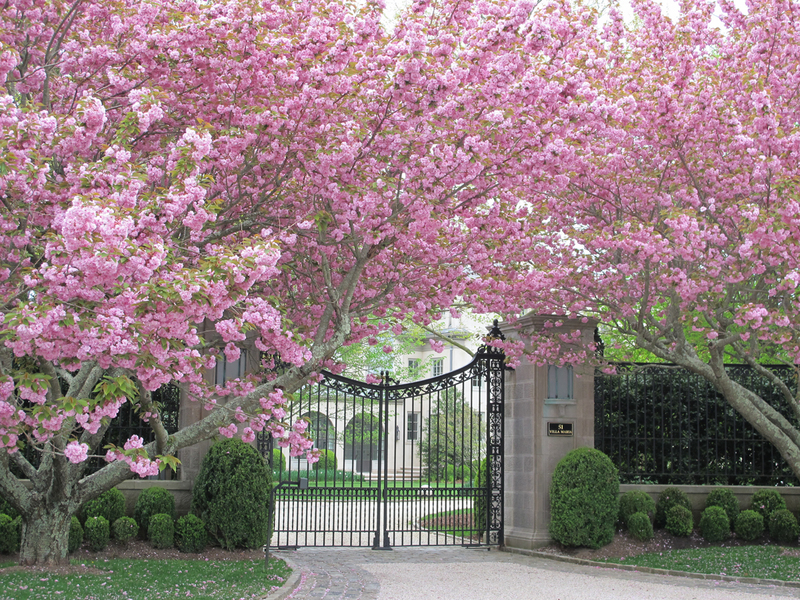 Of course, not every yard has the acreage to accommodate every amenity, at least on one level. But, for ingenious landscape designers, a smaller or distinctively proportioned property is simply an invitation to be creative with the space planning. 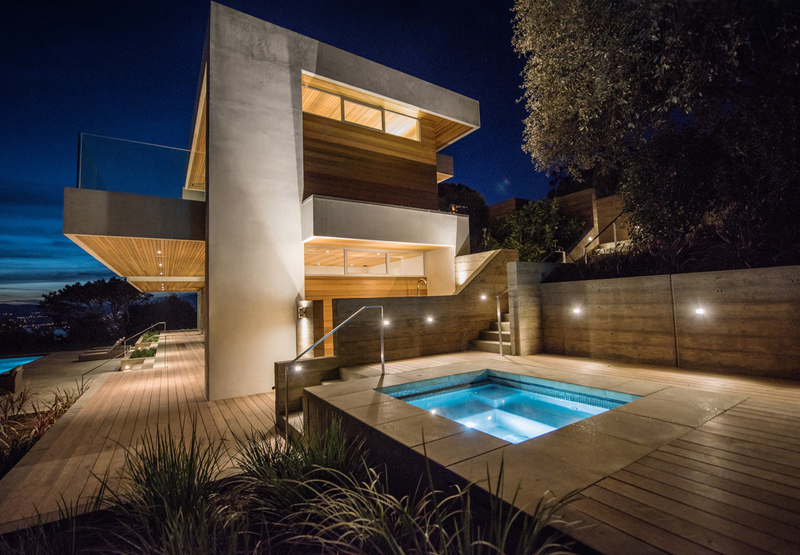 Studio Green’s Tiburon Hills project is located in the hills above the Marin County city of Tiburon, and the site required an extra level of innovation in creating the kind of indoor-outdoor living and entertainment space the homeowners desired. 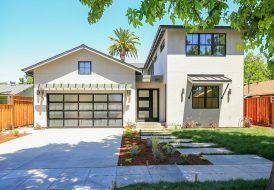 On the main level, NanaWall windows open completely onto a deck, eliminating the barrier between inside and out and creating stunning vistas spanning the San Francisco Bay. Downstairs, an infinity pool and expansive lawn area gave the homeowners the outdoor living area they were seeking. 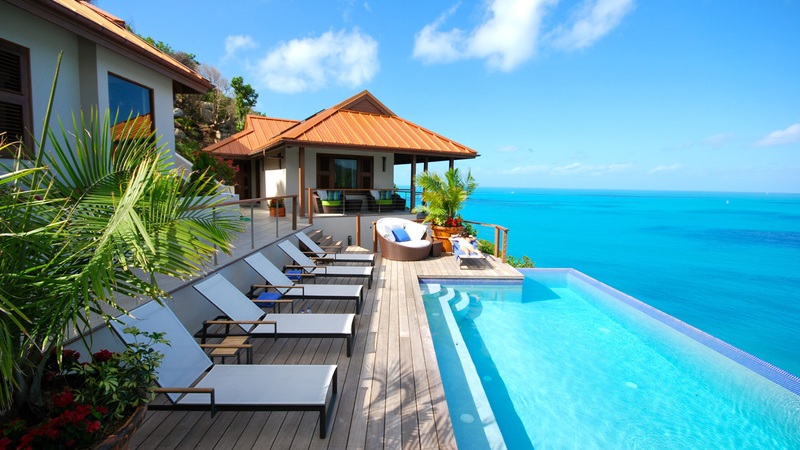 For many homeowners, creating that ideal resort-style space on their property means being able to entertain in high style. That can include multiple seating areas, places where guests can lounge or relax by an outdoor fireplace or, in the case of this Water Mill, New York, home, a massive outdoor bar and entertainment area designed by New York-New Jersey residential and commercial landscaping design and construction firm Sponzilli Landscape Group. 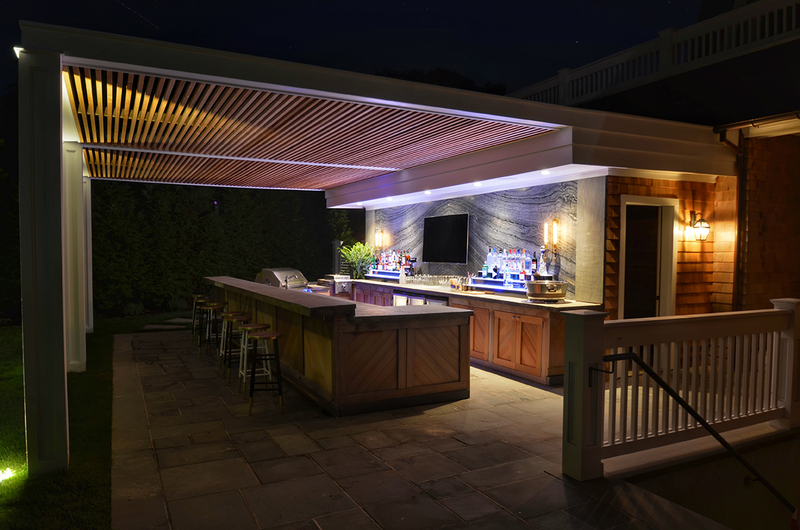 A large pergola was constructed for shelter, with cedar cabinets, a Lynx grill with side burner, a Summit refrigerator with glass doors, and a massive, single slab of marble for an unexpected touch of elegance along the back wall. 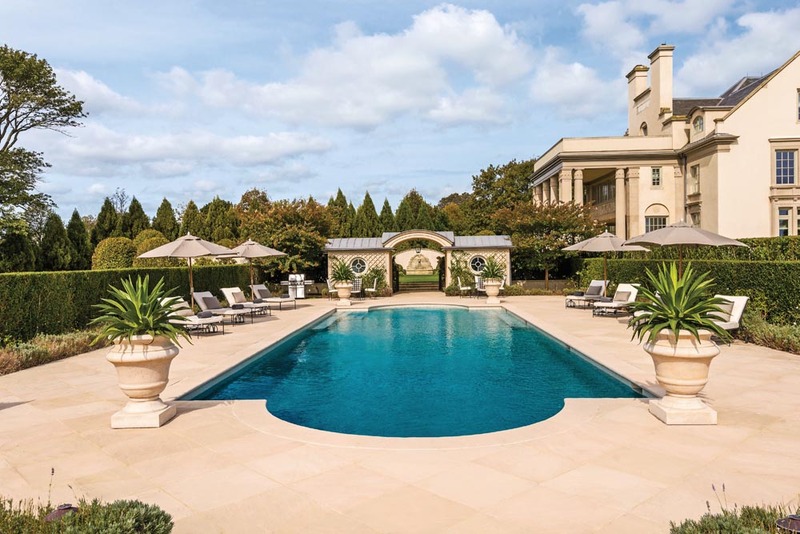 A TV mounted on the slab and a half-dozen barstools provide the ultimate in outdoor entertainment appeal and complement the mirrored-edge pool, formal rose garden, imported sculptures and thermal bluestone patios and walkways in other areas on the property. Yet, no matter the source of the inspiration, crafting the ideal resort space is rarely a copycat experience.